This is an all in one product covering Marine Transit, Construction Liability, Construction All Risks, Operational Liability and Operational All Risks for on-shore wind farms and insured by one A rated Insurance Company. Our CNC-WindPlus policy is the platinum standard in comprehensive risk protection. 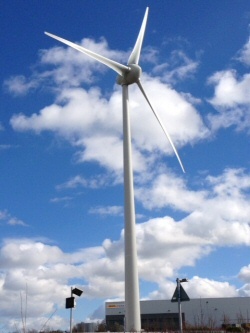 It has been created using CNC Asset's insurance engineering expertise gained over many years from its unique understanding of industrial machinery plus a common sense approach to additional protection required for wind farm developers and operators. It includes covers not found elsewhere in the world. Among the special features are multi-year non-cancellable fixed pricing, wear and tear, total defect cover and protection for damage caused away from the wind farm which impacts on the operation of the wind farm itself. Premiums are exceptionally competitive with the added benefit of fixed pricing. Immediate coverage is available throughout the European Union. Other territories outside the European Union are on application. Included amongst CNC Asset's clients are the Royal Air Force where CNC Asset provides electrical and mechanical breakdown for its machinery and the main banks and lenders for project finance in renewable energy. CNC Asset is a leading edge developer of unique insurance products for the renewable energy industry. CNC Asset is recognised as an international specialist in project insurance covers, extended warranty protection and finance.